Navy blue, Pink , Orange, Sky Blue, Light green ,Amber, Lavender, Warm White, Light pink. 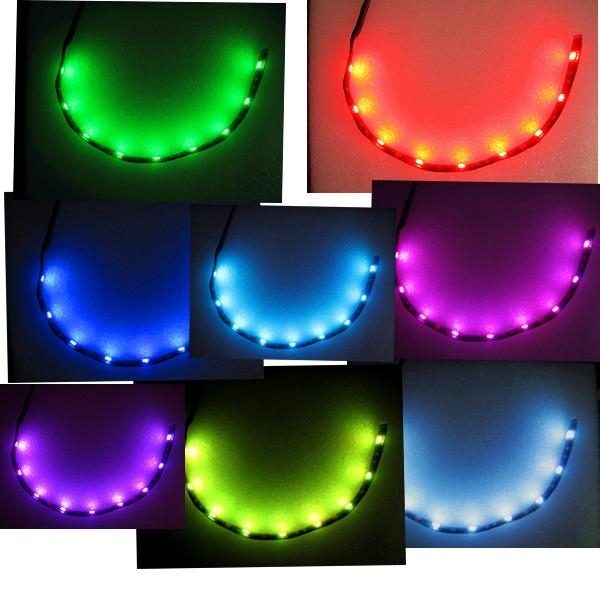 4 PCS 3.9 inch all color led waterproof and shockproof flexible light strips each containing 3 super bright led. 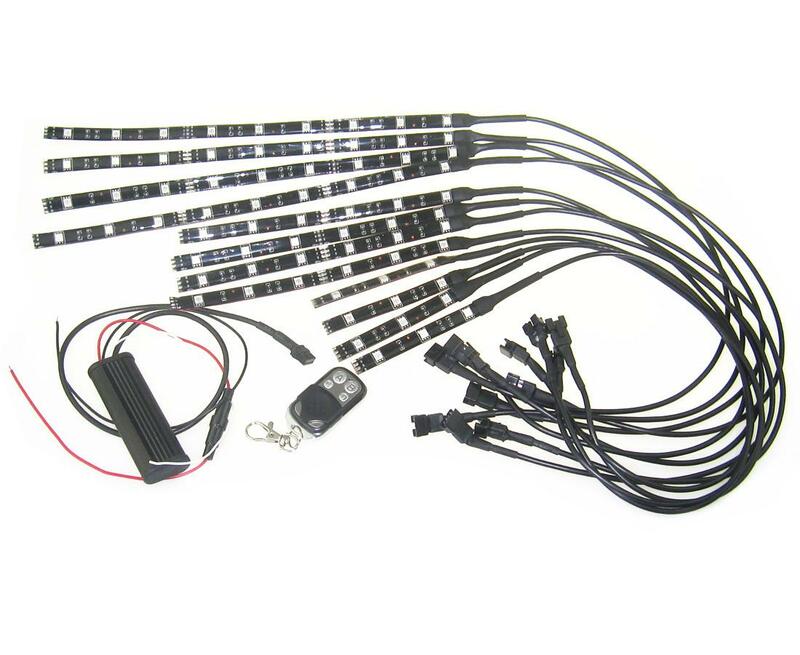 6 PCS 7.8inch all color led waterproof and shockproof flexible light strips each containing 6 super bright led. 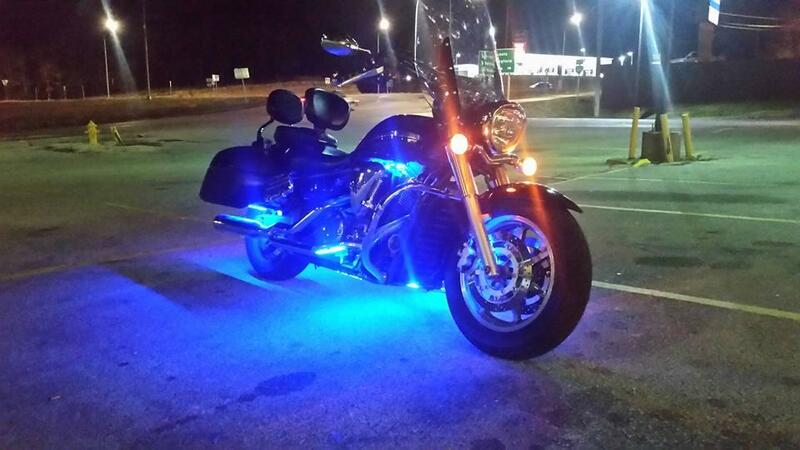 2 PCS 11.8 inch all color led waterproof and shockproof flexible light strips each containing 9 super bright led. 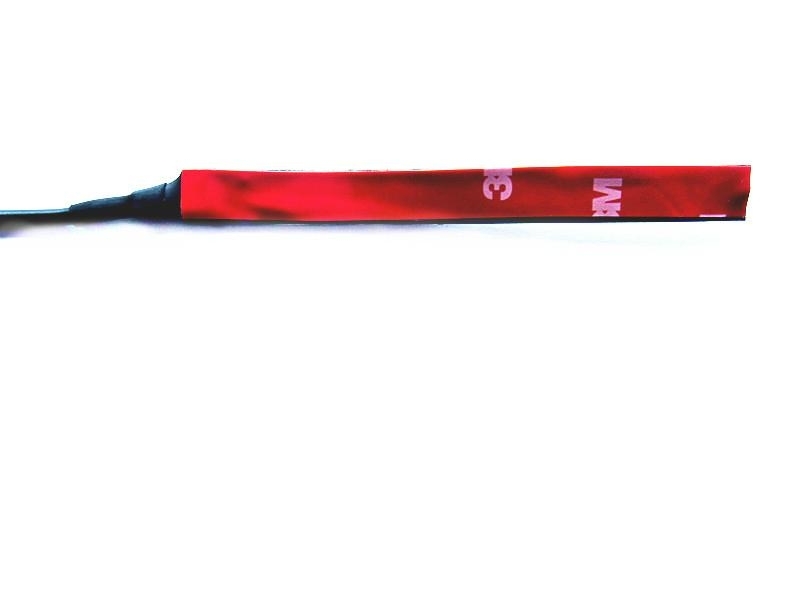 This is the main function key, press it once, it shows a color pattern (1-17), in static mode, press the A key to the current LED stepless dimming. 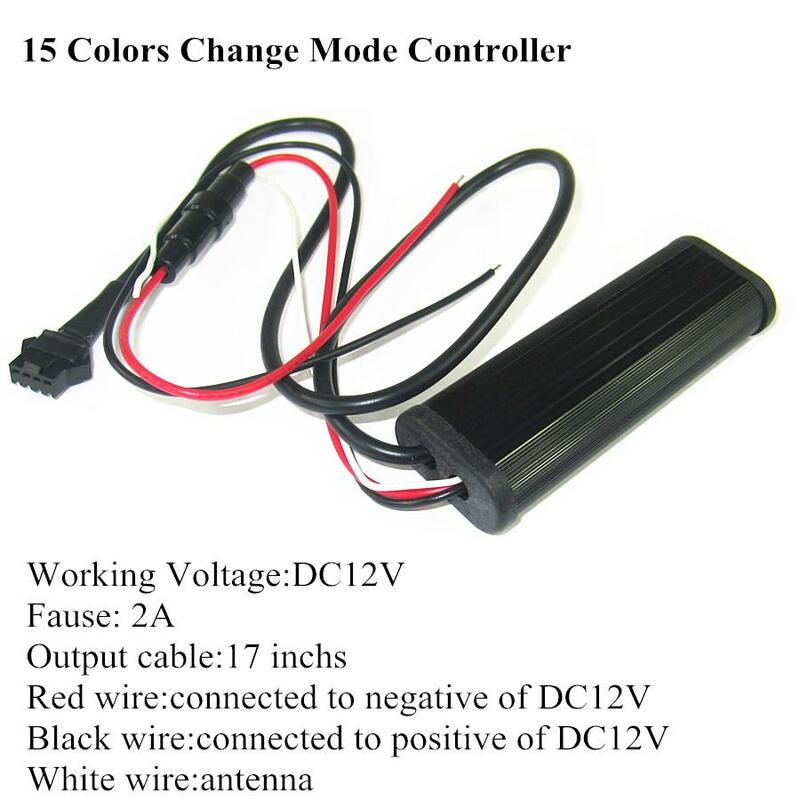 the gradient or hopping mode (16-17), long press B to achieve healthy color shift from slow to fast, in static mode (1-15), press B, lights from the current mode static to blink. in the gradient or hopping mode (16-17), press C to achieve healthy color change from fast to slow, in static mode (1-7), press C, lights from the current mode static to change slowly fades.